Pocket CD (20 discs) cloth E20 Blue. Pocket CD (20/pcs) cloth E20 Blue. Pocket CD (40 discs) Disney QCG007 melt. 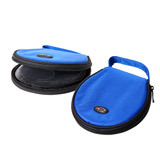 Notify me of updates to Pocket CD (20 discs) cloth E20 Blue.